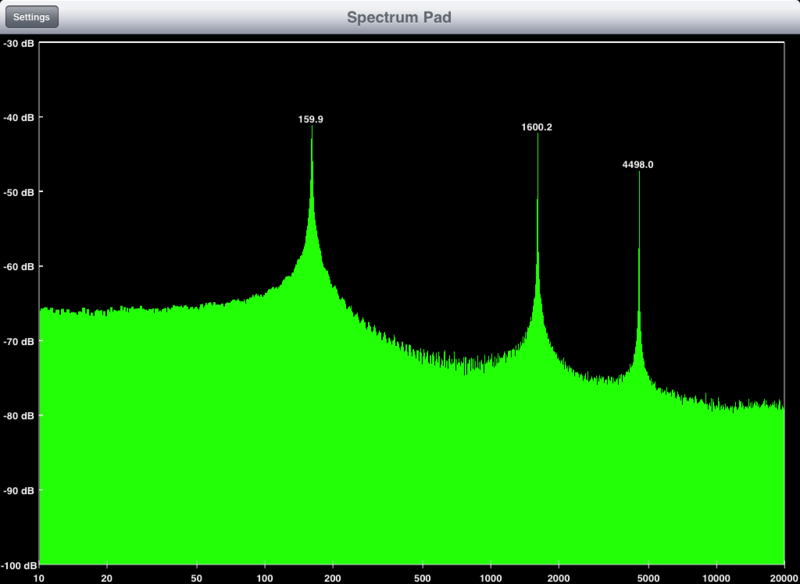 Turn Your iPhone, iPad or iPhone Touch Into An Audio Spectrum Analyzer! 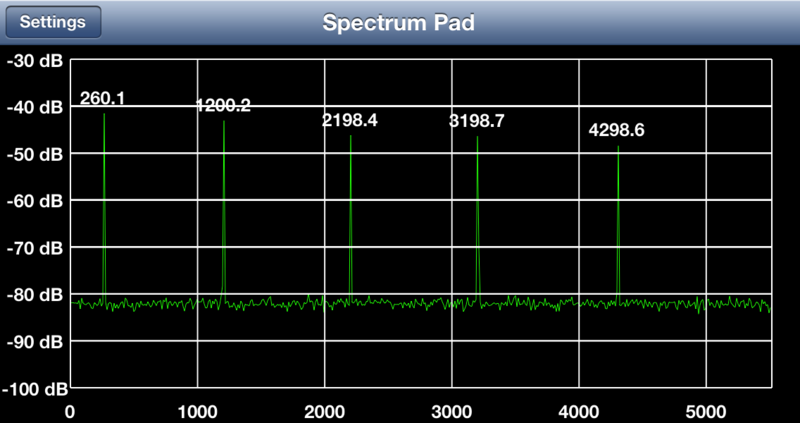 Spectrum Pad turns your iPhone, iPad or iPhone Touch into an audio spectrum analyzer. 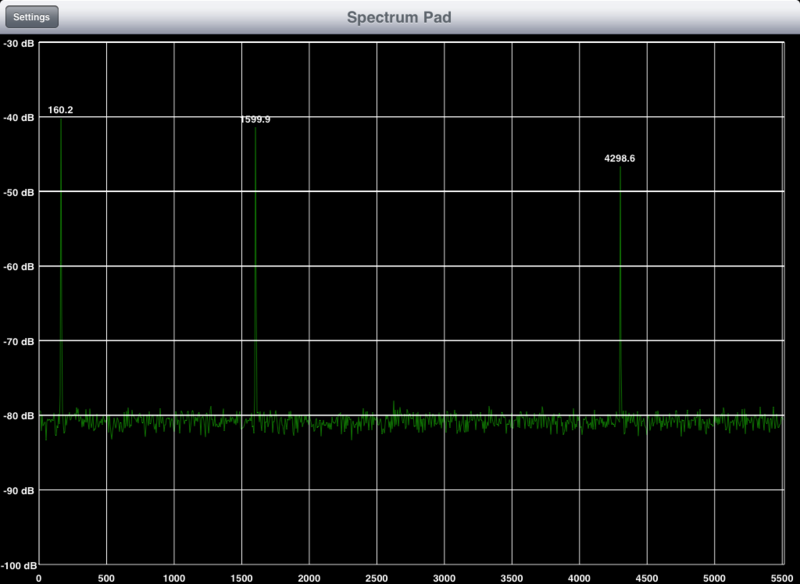 Frequencies up to 20 kHz can be displayed. 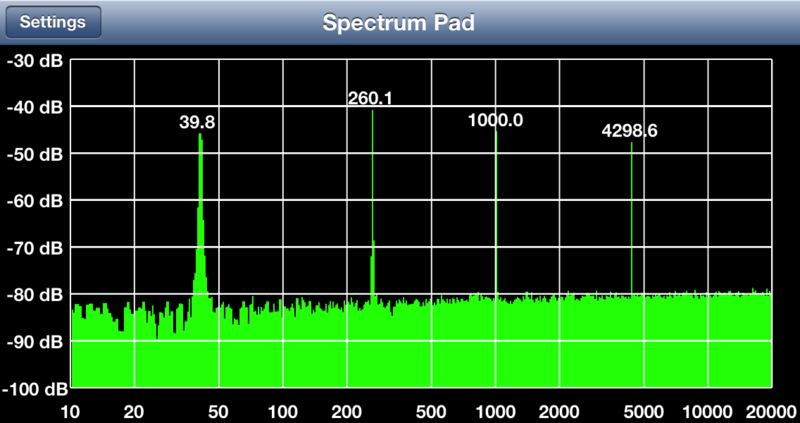 Visit the Spectrum Pad FAQ page for full details on how to use the app.